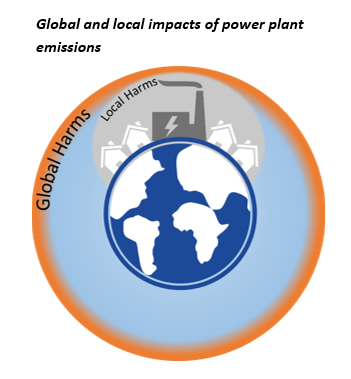 Vulnerable communities such as low-income communities and communities of color are disproportionately affected by the health and climate impacts caused by power plant emissions. To comply with EPA’s Clean Power Plan, states must engage these communities during plan development and analyze opportunities to counteract these effects. Low-income communities and communities of color are more likely to live near power plants, according to EPA’s environmental justice mapping and screening tool, and are thus more likely to be exposed to high concentrations of particulate matter, NOX, and SO2. These communities are also disproportionately affected by the kinds of devastating weather effects that the Clean Power Plan hopes to avoid by reducing CO2, one of the main causes of global climate change. At the same time, they may be economically reliant on nearby power plants for jobs or tax revenues. To ensure that the perspectives of vulnerable communities are heard during planning for Clean Power Plan compliance, EPA requires states to conduct outreach during development of their plans. States are also encouraged to conduct analyses of the likely impacts of plan implementation on vulnerable communities. In a factsheet released today on environmental justice considerations in the Clean Power Plan, Synapse outlines the actions required of states during preparation and submission of initial and final plans. The factsheet also discusses the Clean Energy Incentive Program, a feature of the Clean Power Plan that promotes environmental justice by providing incentives for early investment in energy efficiency programs in low-income communities. Synapse will present an in-depth discussion of environmental justice issues introduced in the factsheet in a webinar today, December 8, at 2 PM EST. To register for the event, visit http://bit.ly/1NG7uDY.